WHEELING, W.Va. – The Ziegenfelder Company announced that its signature product, the Budget Saver Assorted Twin Pops frozen treats, will be available at Meijer Inc. stores this month. “This is an exciting development and we appreciate the opportunity to partner with Meijer, which has such a great history,” said Brad Allen, Marketing Manager at Ziegenfelder Company. 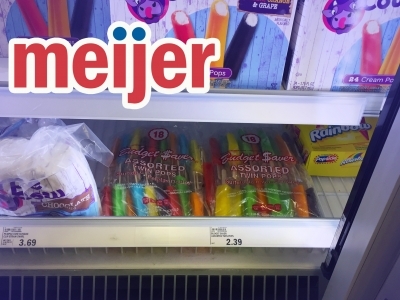 Based in Grand Rapids, Michigan, Meijer is a retailer that operates more than 200 stores throughout Michigan, Ohio, Indiana, Illinois, Kentucky and Wisconsin. Ziegenfelder Company is headquartered at its Wheeling, W.Va., plant. Ziegenfelder also has plants in Denver, Colorado, and Chino, California. “Our goal has always been, and remains, making the highest quality, best tasting products in the market and selling them to our valued consumers at the best price possible,” Ziegenfelder CEO Lisa Allen said. The Twin Pop was invented during the great depression so that two children could split one treat for a nickel. Cherry is the top-ranked twin pop flavor, and Banana is second. Budget Saver began packing six assorted flavors in one bag in 1989. For more information, contact Brad Allen, Marketing and Key Account Manager, Ziegenfelder Company, at 1.800.322.3642, EXT 129, or bradallen@twinpops.com.